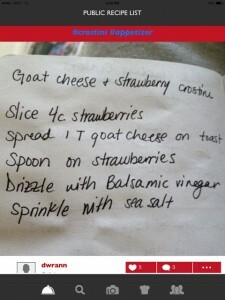 “This free new app is like Instagram for recipes” according to a recent review on PureWow.com. 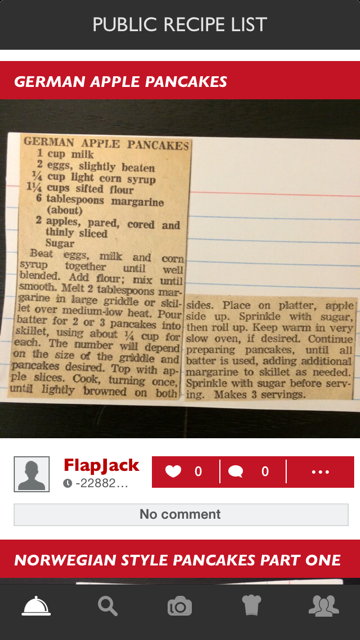 Just take a picture of a recipe you want to save, or load it from your device’s album. Make it Private, so that only you have access to it, or share it with all ReciFoto users by making it Public. The only information you have to enter is the recipe’s name; there is no tedious entry of ingredients or instructions. 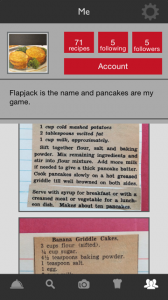 You have a hankering for pancakes and ReciFoto has over 3 dozen pancake recipes! You have a pile of recipes on your desk and you don’t know what to do with them. 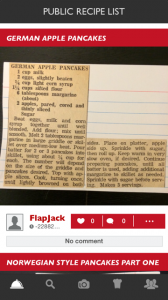 Your grandmother has a zillion great recipes on file cards that you really love and you want an easy way to have access to them. There’s nothing like homemade bread, and there are more than 20 recipes for different types of bread. 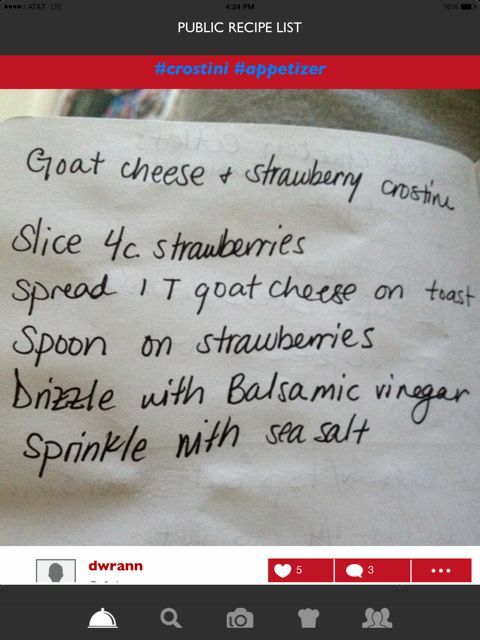 You’re at the doctor’s office leafing through a magazine and you see a recipe that you love and don’t want to tear out the page, because you’re not that kind of person. 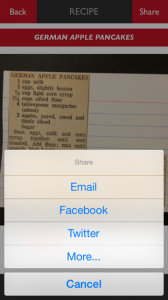 You love to look through other people’s recipes and there are over 1800 recipes on ReciFoto! There are over two dozen recipes with chocolate. The Inuit have many words for snow, and we have over 40 recipes for chicken. ReciFoto is available as an iPhone/iPod App, an iPad App, and on your computer at www.ReciFoto.com. For information on how to get the most out of ReciFoto, click HERE.